The dragon sculptures at the top of the shrine were part of a Buddhist temple and taken as the spoils of war from US military in WW2. 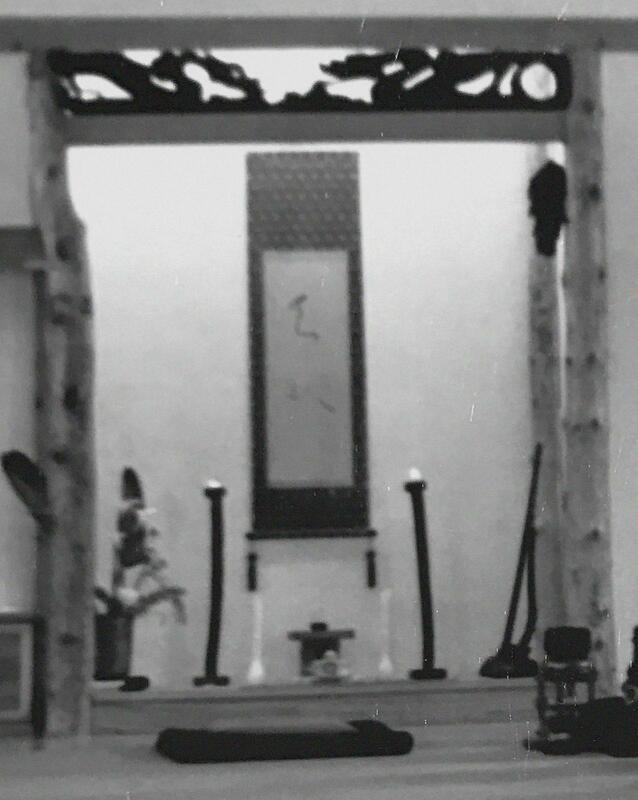 Chiba Sensei found this is an antique shop in down town San Diego in 1990. The title of this blog took some time to work out. At first the title was centred around the notion of a dragon. The Dragons Lair, Claw or Realm. This was in part inspired by Chiba Sensei being born in the Year of The Dragon and also as his Uchi Deshi which in Japanese tradition means to live in house, you were indisputably in his domain. It is also the title of an upcoming book. After some thought I arrived at the above title. It describes my experience with Aikido and with that dragon and beyond. The fact that I spent half my time upside down is no joke. It is simply a fact and a central part of training in Aikido. Ultimately you “see things” from a different angle. Inside out also rang true in other regards. The first, as a Deshi you are “in”, after all in Japanese Tradition Uchi Deshi means “in house student” . Training is expected to be your singular focus. Working closely with the master to this end. However when your time is up, then you are “out”. Your time as Deshi has reached its inevitable end. Inside out also describes the break through in the training. Ideally the outside influences (the Sensei, my peers and the general students) has gone in. Simultaneously who you are comes out in your training. I hope this does not come across as pretentious but instead effectively serves to describe what has been a major influence in my life.